Live-action series Final Fantasy XIV Dad of Light receives a U.S. premiere on Netflix on September 1st. 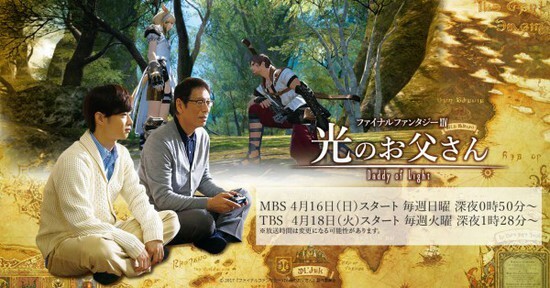 Final Fantasy XIV Dad of Light, a live-action miniseries based off an online blog mirroring real life events, will be receiving a U.S. premiere on Netflix on September 1st, 2017. This was announced on Neftlix’s official page for the series. The international Netflix trailer for the series can be seen on the official page here. 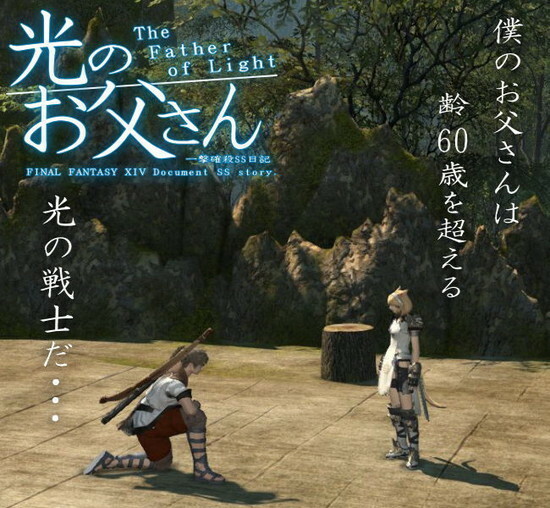 Final Fantasy XIV Dad of Light (as Final Fantasy XIV: Hikari no Otōsan) previously aired in Japan on Japanese television channels MBS and TBS on the dates April 17th and April 19th respectively, and had a Netflix Japan premiere with English subtitles. The seven-episode miniseries cast includes: Yudai Chiba (Alata/Gosei Red from Tensou Sentai Goseiger) as the son Mitsuko Inaba, Ren Oosugi (Prime Minister from Shin Godzilla) as the father Kotaro Inaba, Hatsunori Hasegawa (Takeshi Yamato/Ultraman 80 from Ultraman 80) as Hajime Ono, Fumika Baba (Medic from Kamen Rider Drive) as Yoko Masada, Yoshihiko Hakamada (Zebraman) as Takahiro Hakamada, Yoshino Nanjo (Final Fantasy XIV) as Yudai Chiba’s in game alter ego Maidy, Minako Kotobuki (Naria from Doubutsu Sentai Zyuohger) as Aru-chan, Aoi Yuki (Yurusen from Kamen Rider Ghost) as Kirin-chan, and Mako Ishino (Cignian Swan Shiratori/Deka Swan from Tokusou Sentai Dekaranger) as the mother Kimiko Inaba.